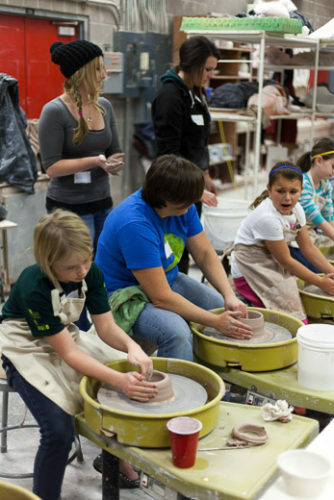 This group plans on introducing Fourth graders to the fun of wheel throwing. 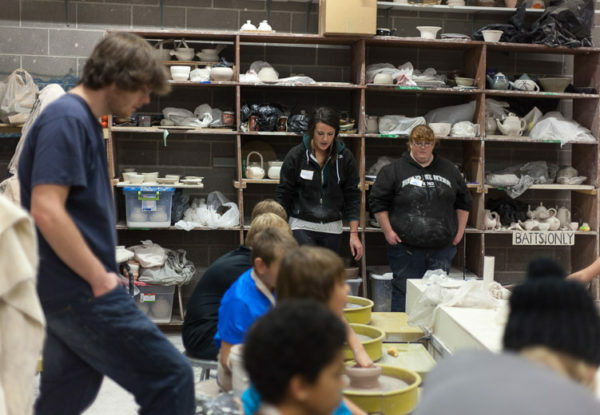 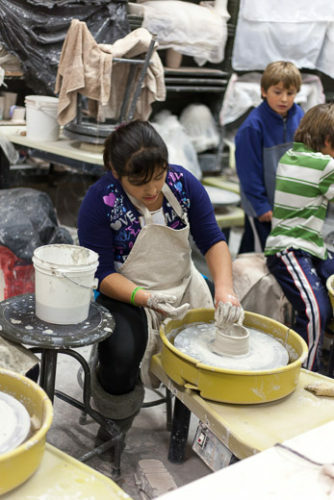 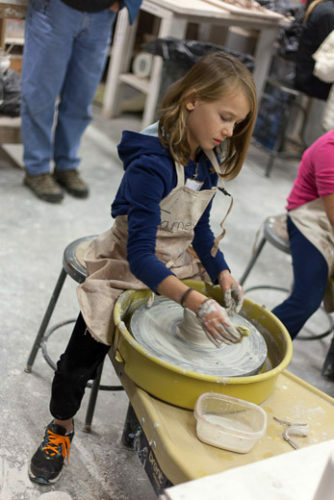 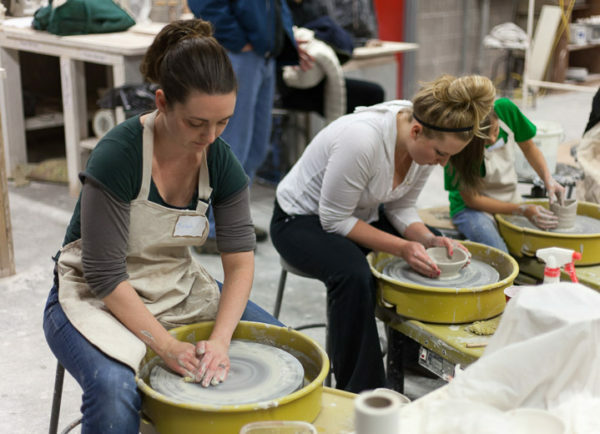 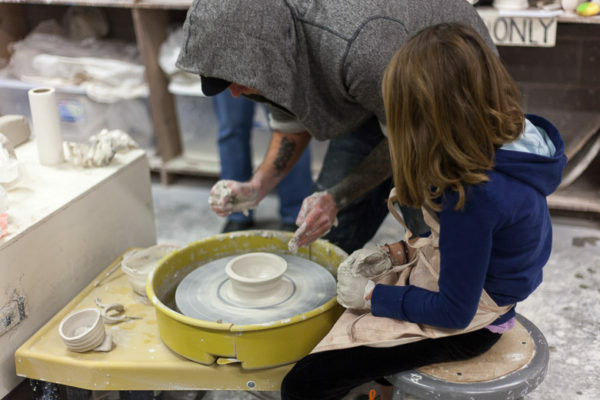 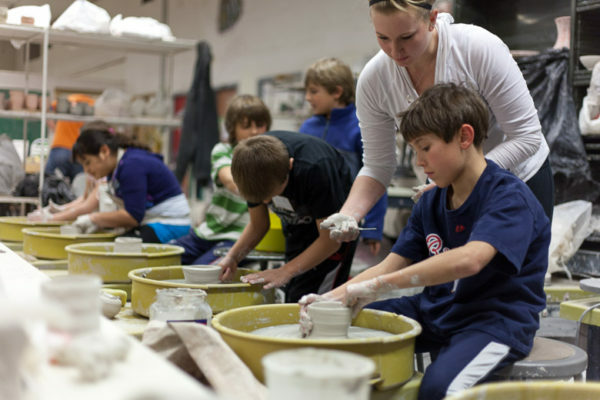 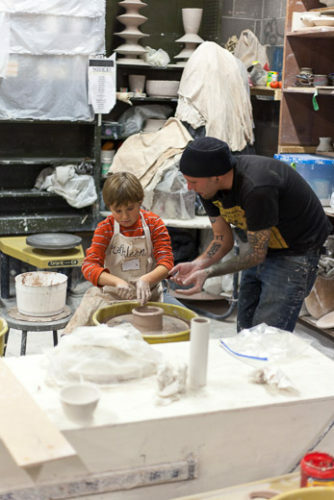 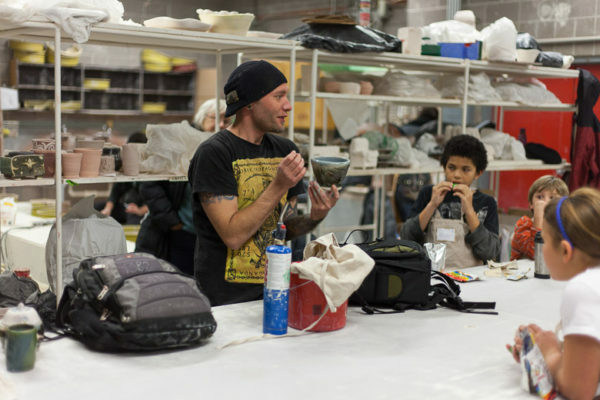 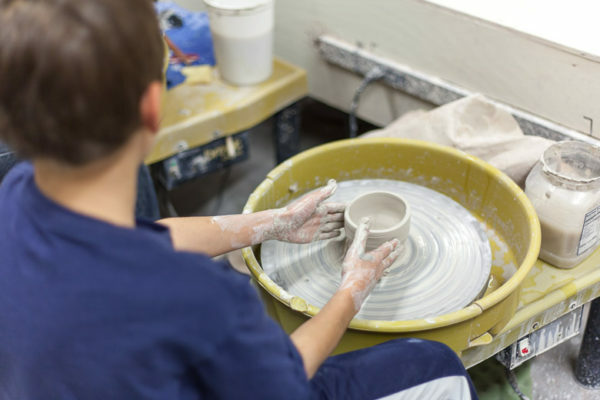 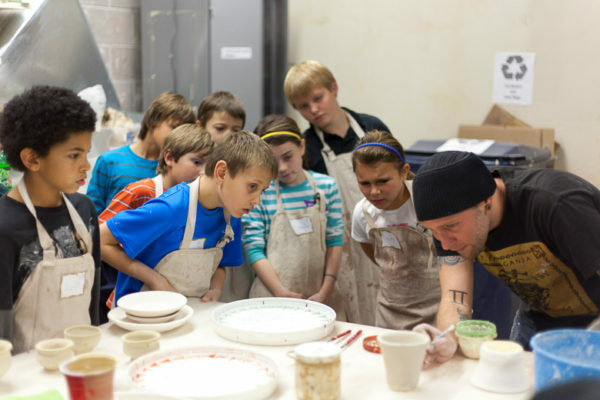 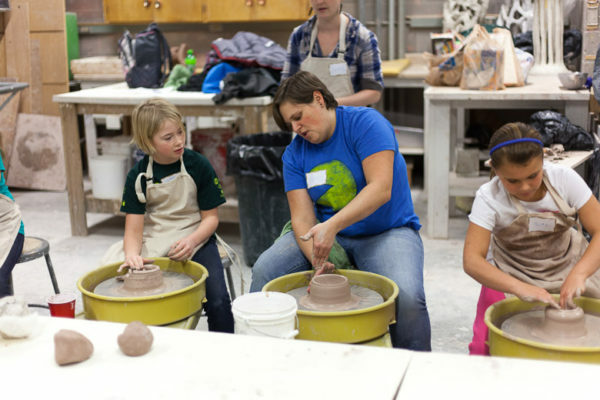 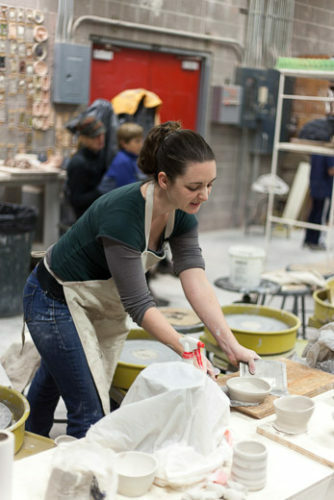 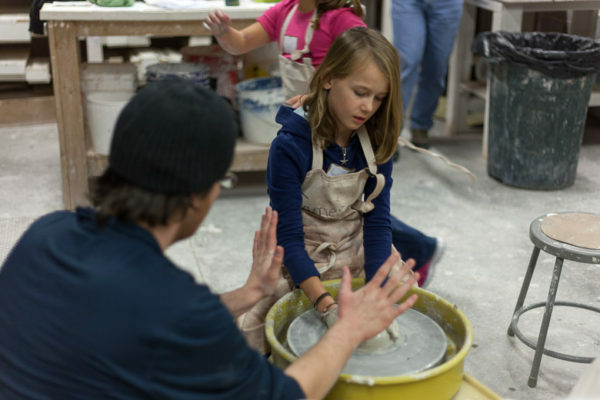 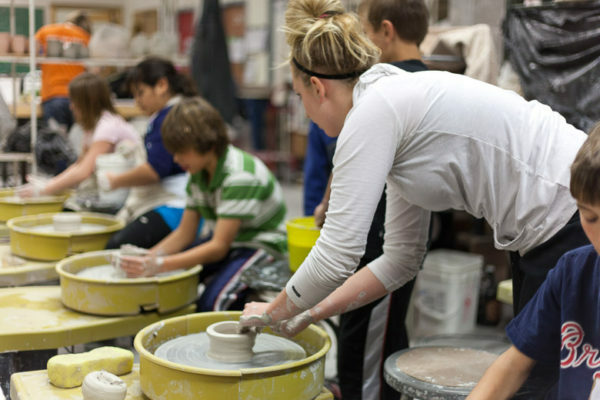 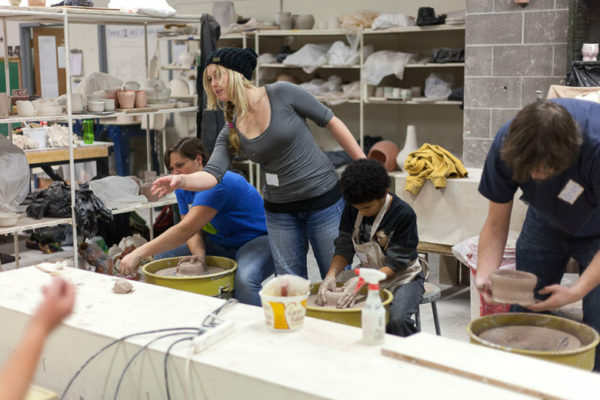 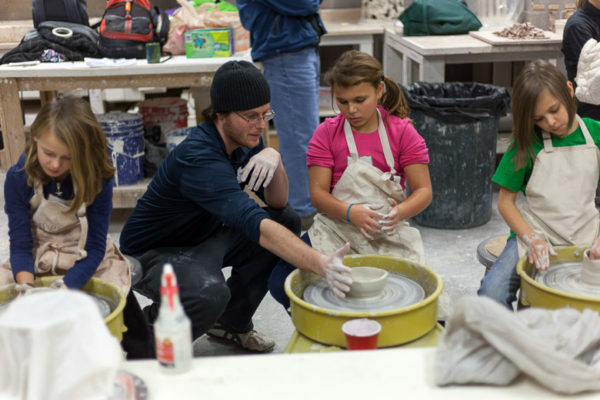 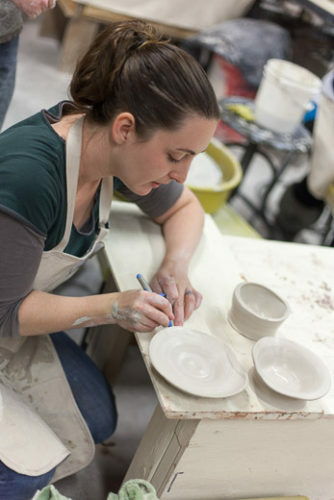 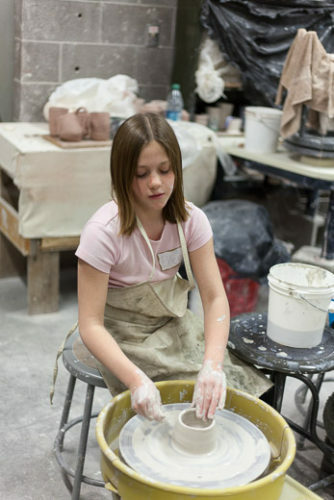 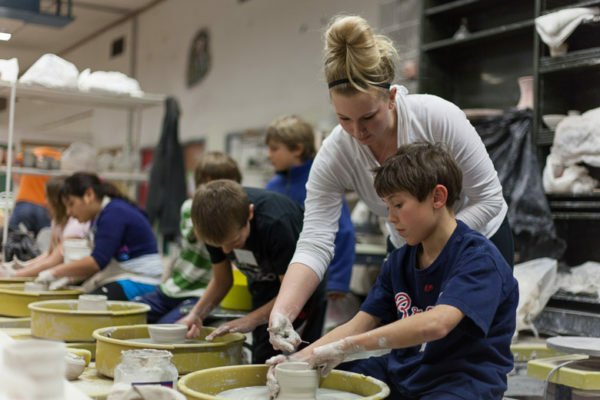 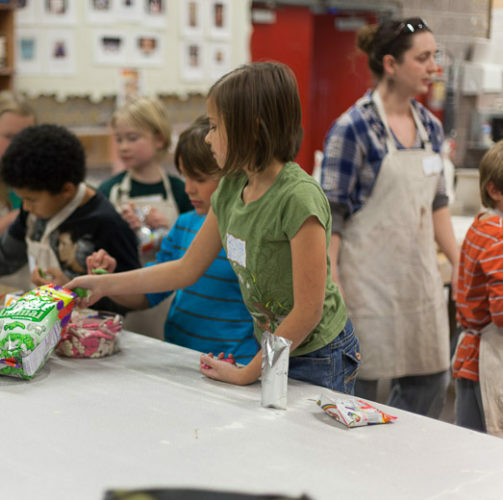 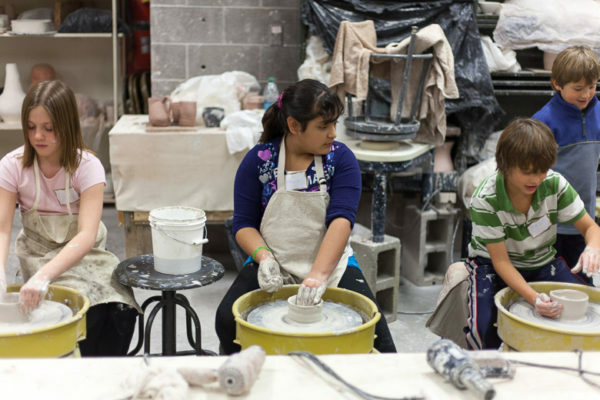 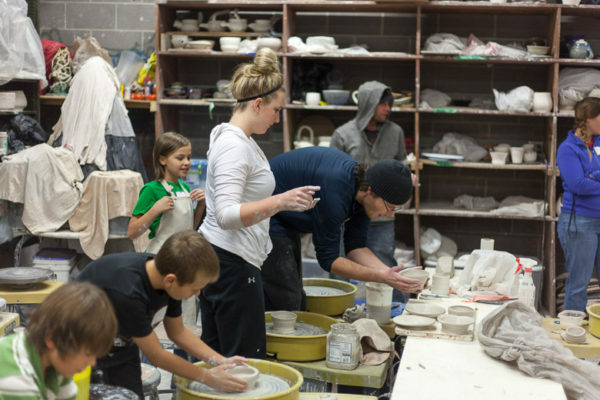 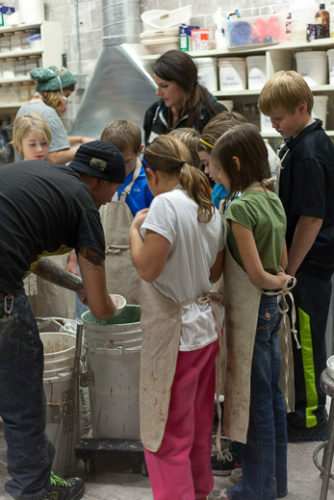 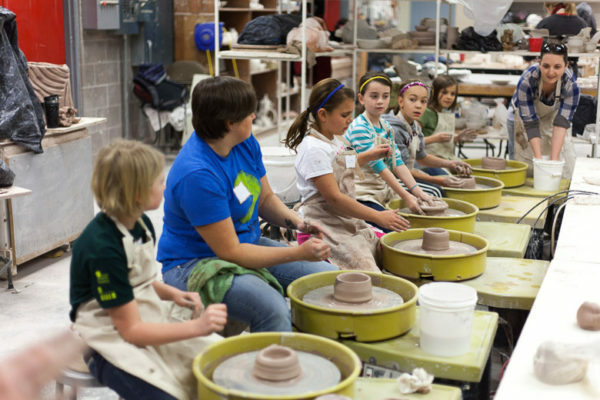 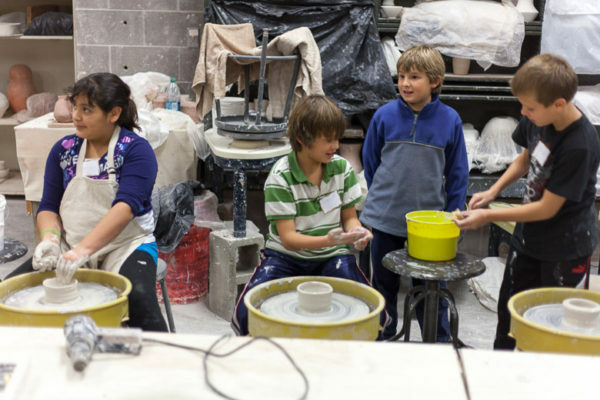 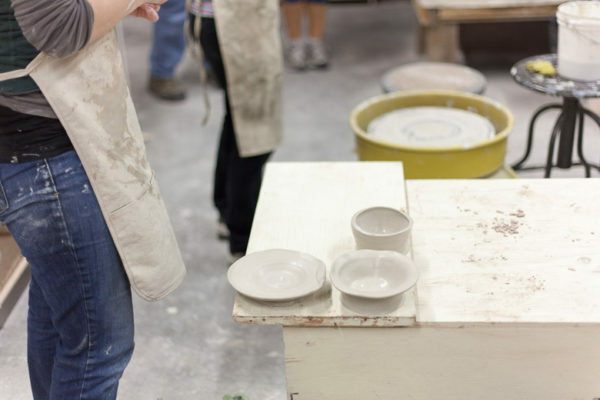 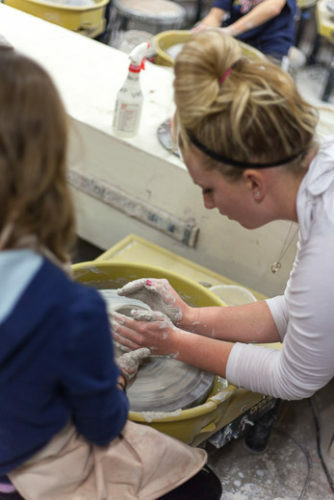 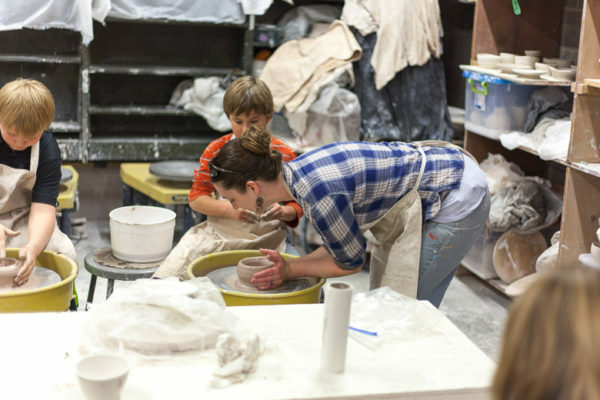 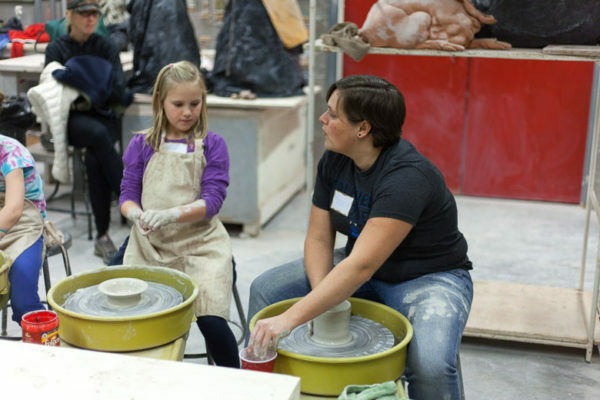 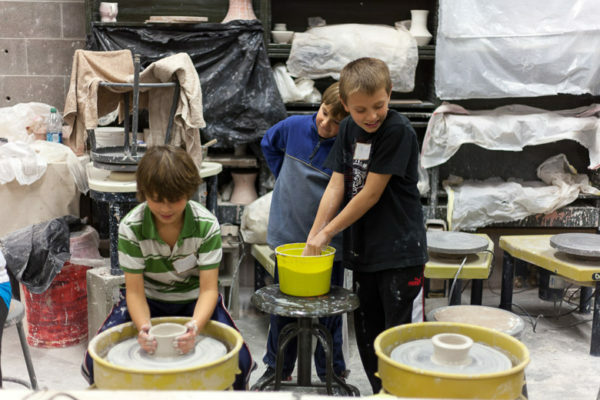 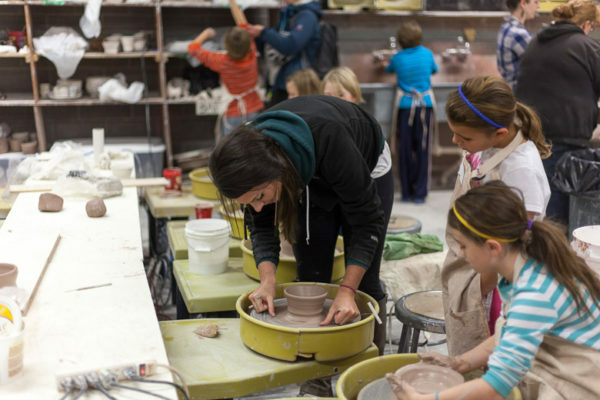 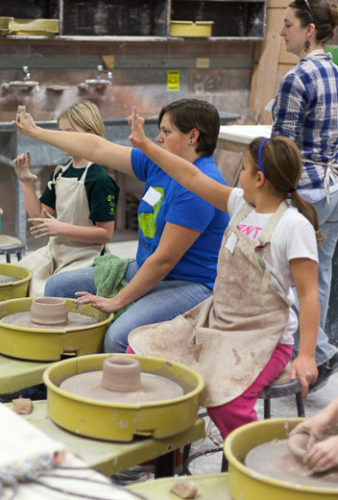 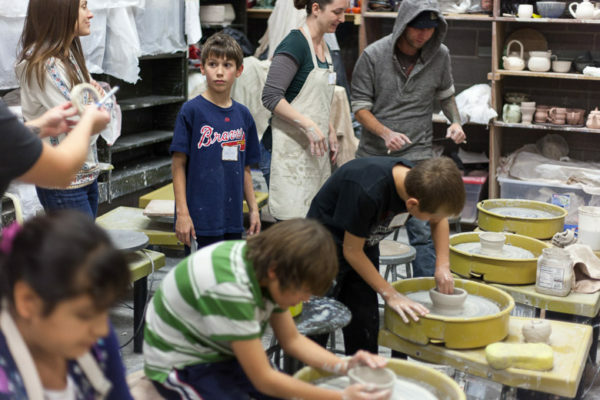 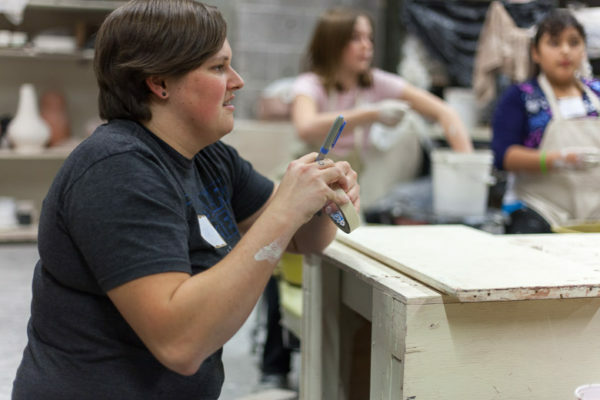 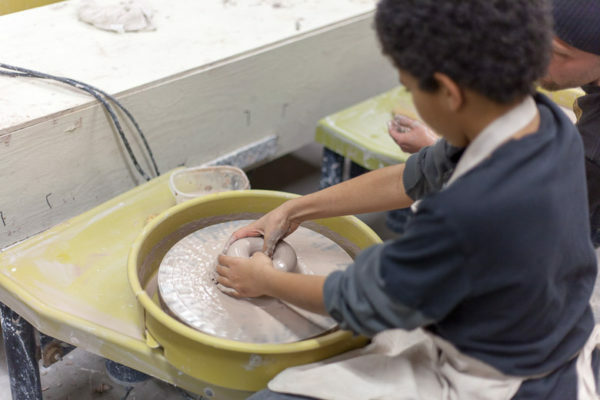 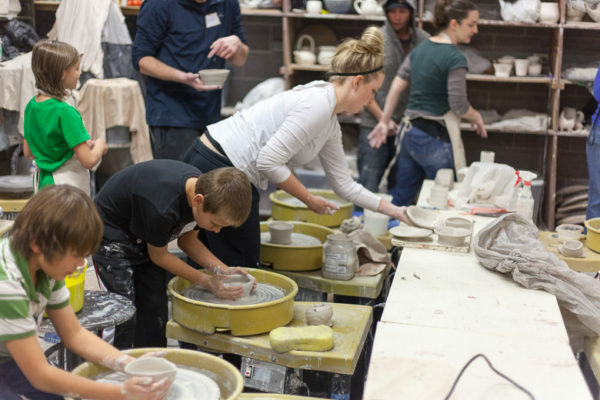 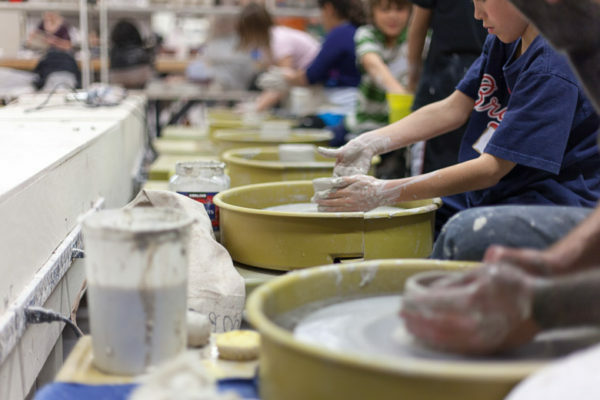 Although students experience clay a few times throughout school, they are often steered away from the wheel. 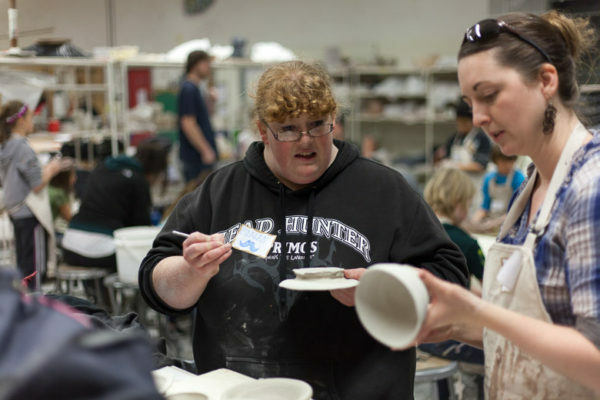 Tracy and Rebekah wish to give these young students the opportunity to make a cup, something they could use everyday and relish in their work of art! 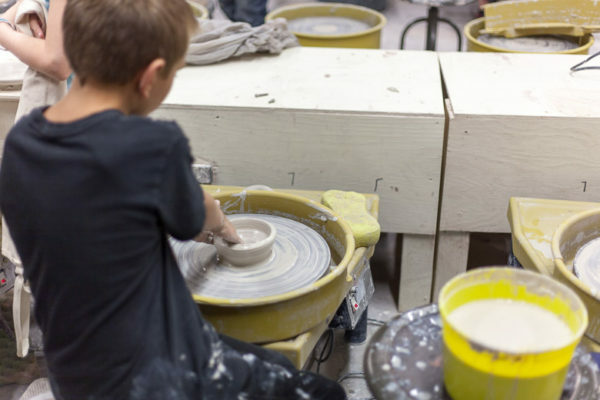 The plan is to split one selected Fourth grade class, and have each half come into the studio for an hour and a half to learn throwing skills over a span of two days. 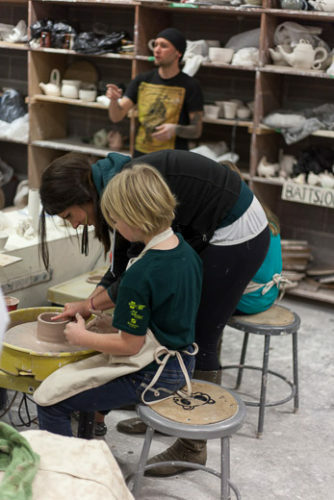 Other volunteers from our class will come in to help to give students more directed instruction on centering, dropping the hole, pulling, and shaping. 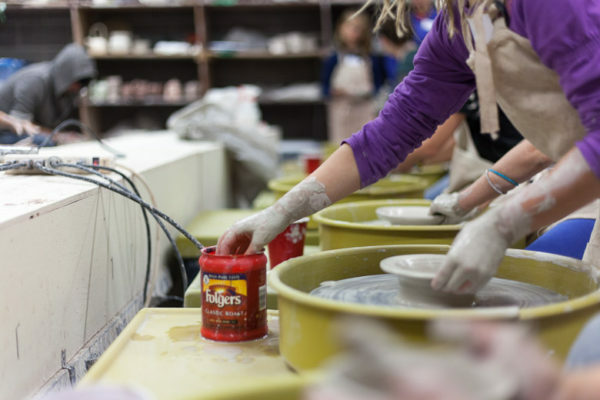 Once student are through, they will pick out a desired glaze where the two team leaders will bisque then glaze the student cups. 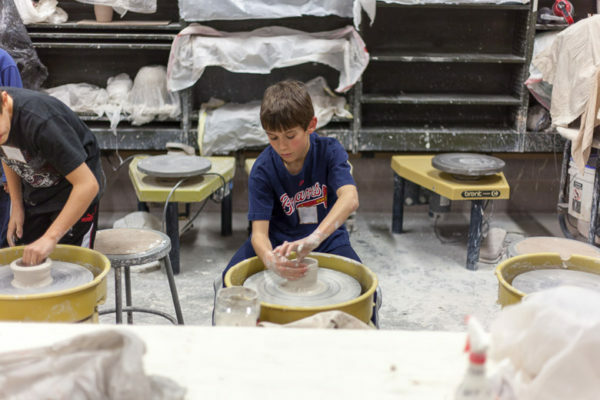 When the process is all through, they will then give the finished cups back to the students where they can share with them with their classmates and with their families. 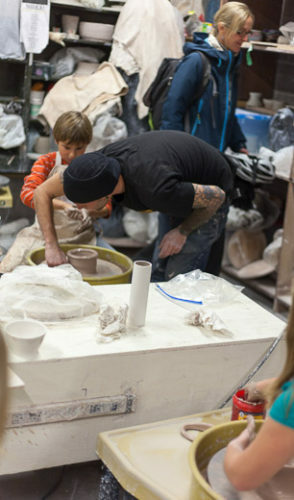 Q: What was the main idea that started this? 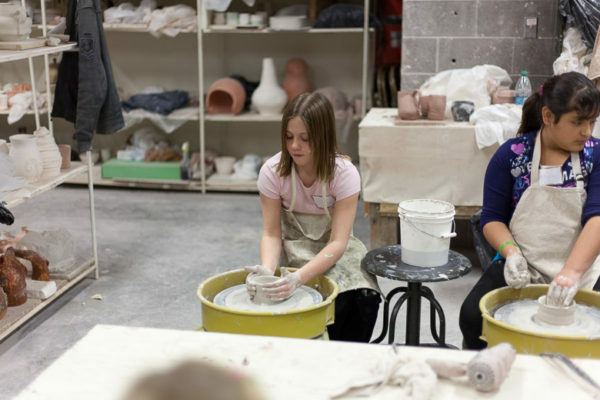 A: The inspiration behind teaching a bunch of forth graders was Tracy daughter who comes in to the studio wants to throw on the wheel, which is a problem in the schools view. 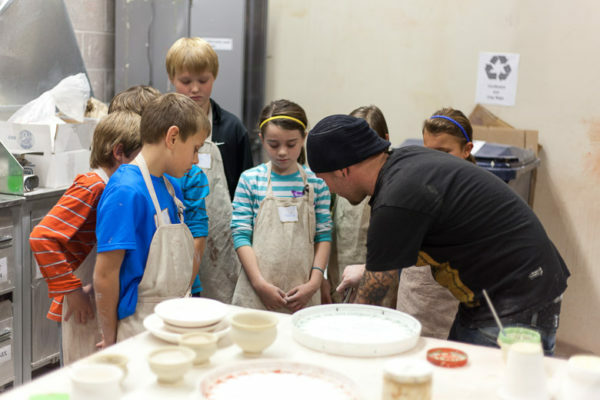 So Tracy sent a invitation to the 4th grade class at Rattle Snake School and it was a widely accepted idea. 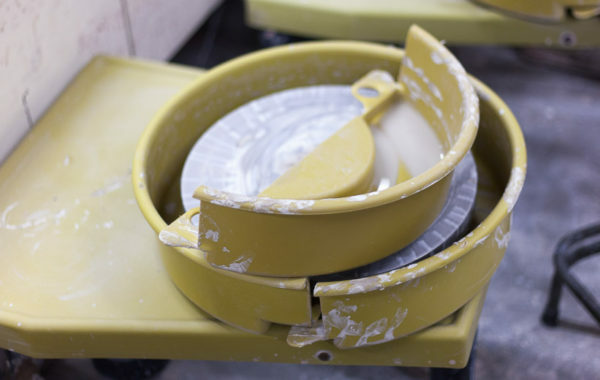 Q: What was the Process? 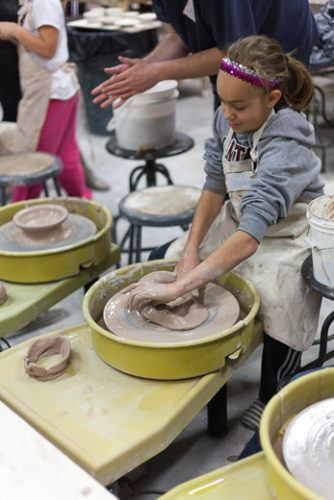 A: So we wedged a lot of clay and are wrists started to crack and pop by the end. 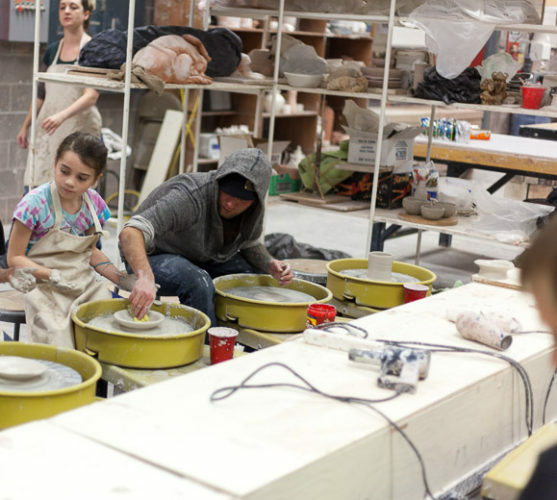 We also centered all the clay on the wheels because we didn’t was chaos and just wait for them to show up. 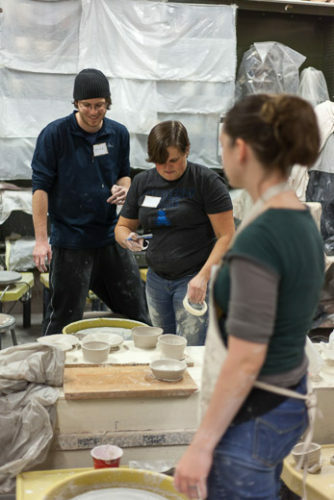 We ended up with more people both nights than we planned on, which turned out great because we had more clay than we needed. 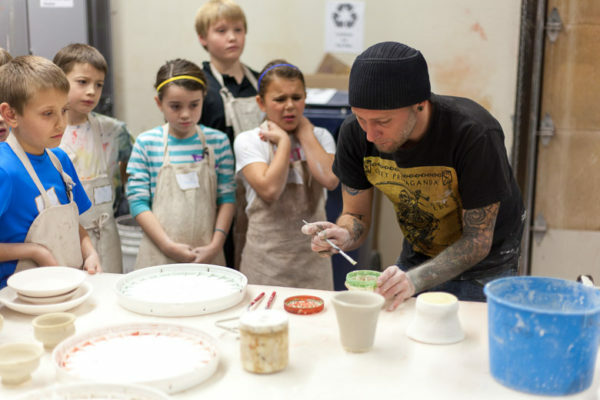 Q: What was it like for them? 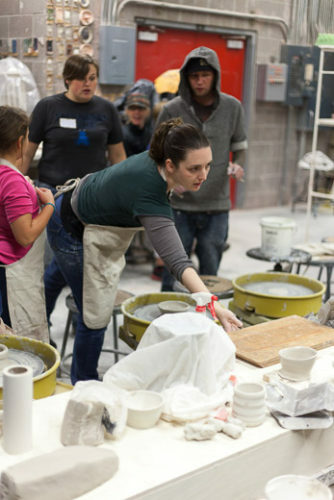 A: It was the first time for them, so Tracy sat down in the middle and started talking them through, the basics like push your thumb in the center, etc. 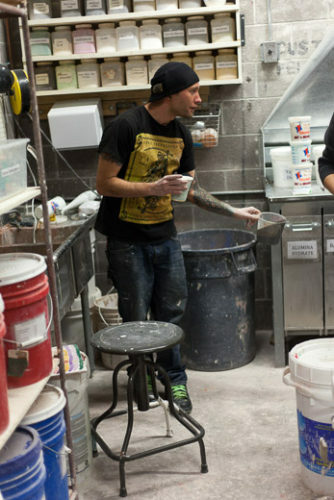 It was wild and they picked it up very quickly. 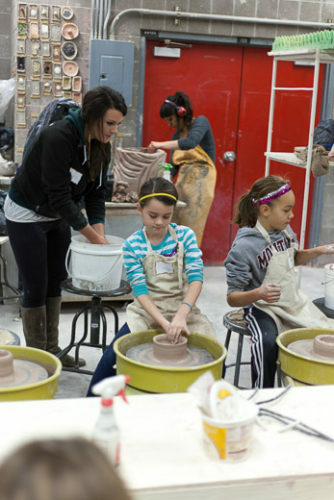 For a bunch of 4th graders it was kind of embarrassing that their pots looked better than my first ones. 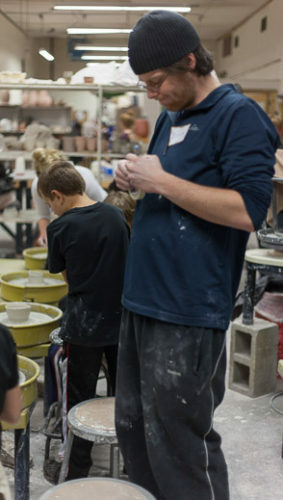 Their was a ton of questions from the kids and without the help from the rest of the class we couldn’t have done it so we really appreciate it. 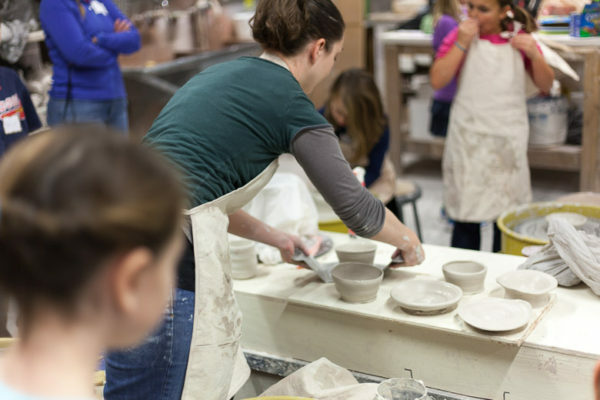 Q: What are you going to do with the bowls? 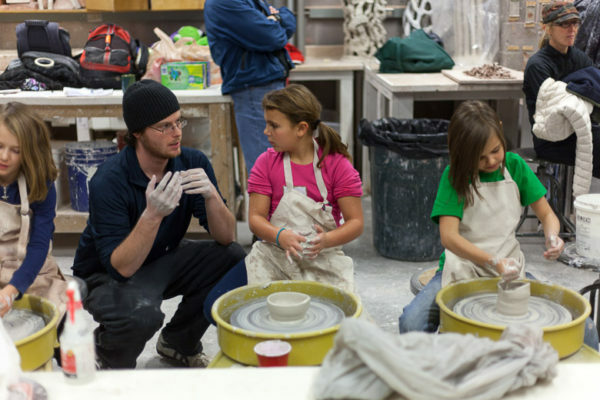 A: We are firing them and bringing them back to Rattle Snake and give them back to the kids.